Here at Abbey, we specialise in high quality conservatory installations, designed to make the most of your Reading home. You will be able to enjoy additional space, perfect for year round use, in no time at all with our impressive conservatories. We strive to make things as easy as possible for you. We offer expert design and fit of your new conservatory, providing you with a quality living space which will enhance your property and your enjoyment of it. Our professional installation team will be on hand throughout the build to answer any questions you may have, and ensure your conservatory is installed to the highest standards. 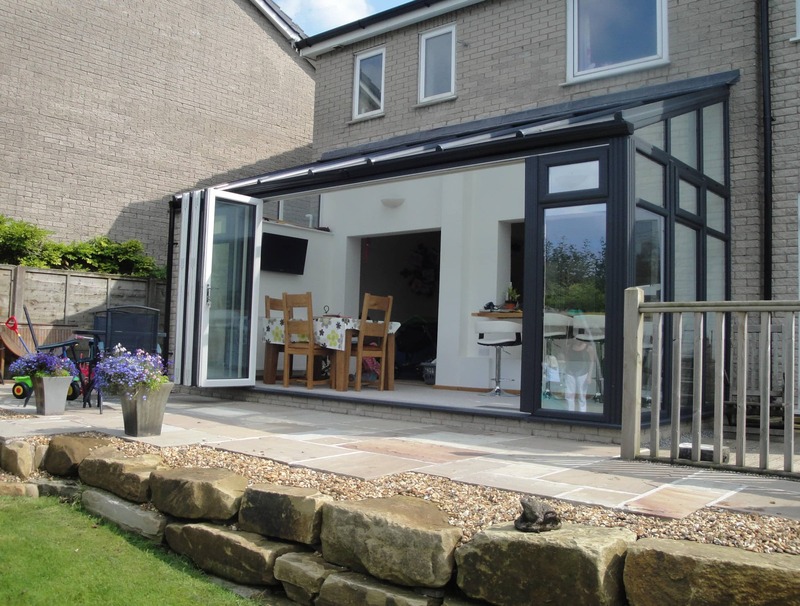 The lean-to conservatory is a popular choice, offering a practical solution which will make the most of any narrow or small space alongside your property. They can come in any size, and with the innovative roof design, they can even fit under low eaves – perfect for bungalows and cottages. The lean-to conservatory can be as decadent or as simple as you require, making them ideal for any budget and almost any use. This means that no homeowners need to miss out. Our Victorian conservatory options are highly sought after, thanks to the traditional conservatory appearance they offer for your home. This conservatory-style has an elegant, detailed finish, and the multi-faceted shape will give you superb views of your whole garden. They are the style that suits almost any property design and will give you a charming space in which you can relax and rejuvenate. Enjoy more for your home. For a room that is more like an extension in practical terms, then our Edwardian conservatory is a great choice. They have a square or rectangular shape which gives you plenty of space, ideal for dining rooms, home offices, or living areas. This style is more subtle than with the Victorian design, and it has a clean, neat look which is suitable for most homes, complementing modern building as much as it does traditional features. A gable-end conservatory is a great choice for when there is no limit to height and you are looking for a truly spectacular design. These impressive conservatory designs reach up with a roof shaped like the gable-end of a house, and they have the floorplan of the Edwardian style, offering a large amount of space. They are so eye-catching and they really will make a feature of your conservatory for your visitors and guests to enjoy. If you have an awkward area in your home and you want to put it to practical use, or perhaps you are in need of a large conservatory, or just simply a conservatory that is different to the norm, then our bespoke conservatory options are the very best choice. These conservatories are unique to you and your home, giving you the perfect match for your every requirement. 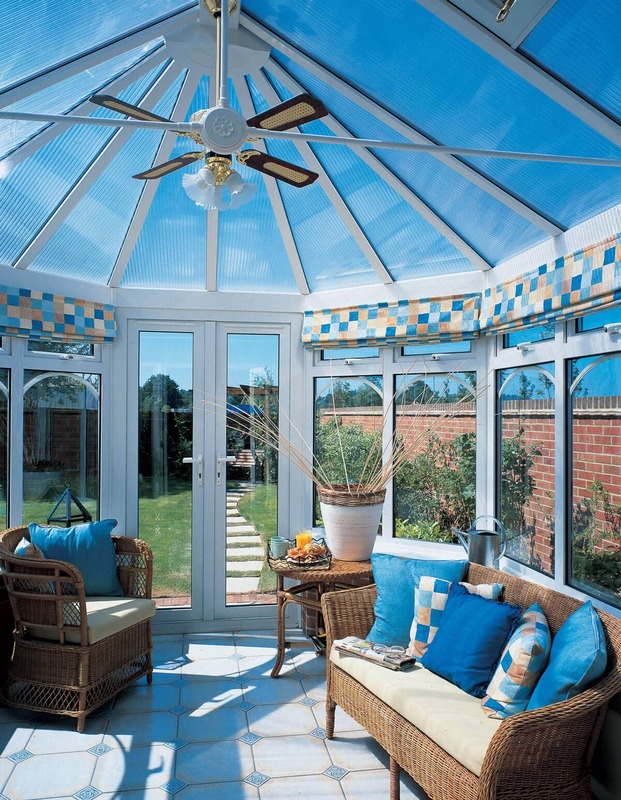 Our designers will help you to create your ideal conservatory. Orangeries are a superb mix of brick-built extension and glazed conservatory style, creating an additional living space which meets every requirement. This home improvement option offers more privacy than say an Edwardian or Victorian design, yet they are more light and spacious than a standard extension. They are much quicker to install too.They are also far more cost effective, making them the best alternative to traditional extensions. Our conservatories are constructed using the very best profiles, so you can count on outstanding thermal performance, with impressive Windows Energy Ratings. In addition to this, they offer excellent security too, featuring the very latest Yale locking mechanisms. Our conservatories are strong and durable, able to withstand the best and worst of the British weather for many years to come. The fantastic feedback that our customers give us about our services makes us immensely proud. However, to put your mind to ease we are accredited by the Double Glazing Network. Rest assured that the service we provide will be professional, reliable, efficient on every job we carry out, promising a conservatory that is set to last. 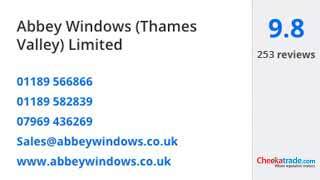 To gain our membership of the Double Glazing Network we have been assessed against rigorous standards. The stringent requirements of the accreditation process have been exceeded, so you can know that you will get first class customer care, clever design and expert installation of only high quality products. Our replacement, refurbishment and new conservatories prices in Reading are priced to suit your budget, so choose the most cost effective option for your home improvements from our range. We have an online conservatory designer where you can create your dream design and see just how much it will cost. If you prefer, book an appointment with an expert from our team, or contact us and we will be happy to help you with your enquiries. Our conservatories are superb and will help you to make the most of your home.